Combine the tastes of sweet, salty, sour and spicy and you get an idea of what kind of a taste treat you are in for. You can make these as hot and spicy as you want, but don't overpower the other flavors of these wings. (one that can accommodate all the wings). 2. Mix the wings in with the marinade, stirring well to coat. be also be left to marinate up to 24 hours). when juices run clear. Serve alone as a finger food, or with rice or a salad. 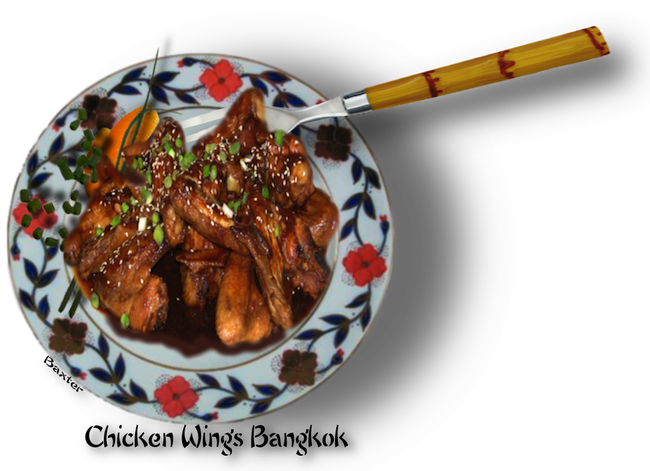 Save the wing tips for stock,  they do not add to this dish and are not that great to eat either.